Presenting just a few of the many bikes from my visit to the Antique Automobile Club of America Museum in Hershey, Pennsylvania. 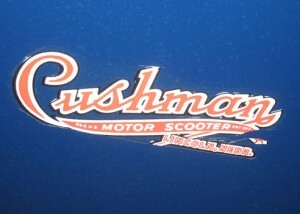 I love the Cushman emblem! Maybe it’s because I fondly remember a blue and orange matchbox car that I loved long ago? Only two standard colors were offered on the 1947 models – red and blue. This was the first year that the new Cushman Disc Type Automatic Clutch was made standard. 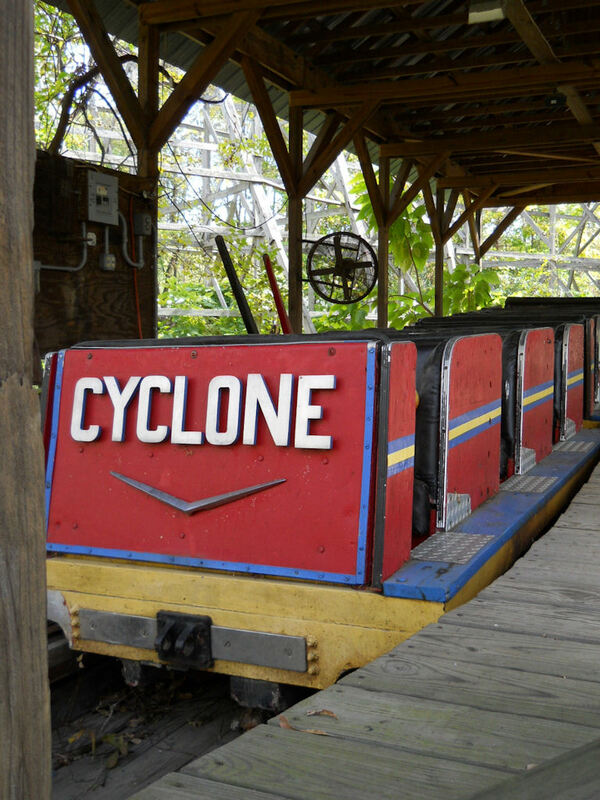 It engaged automatically when the engine accelerated. 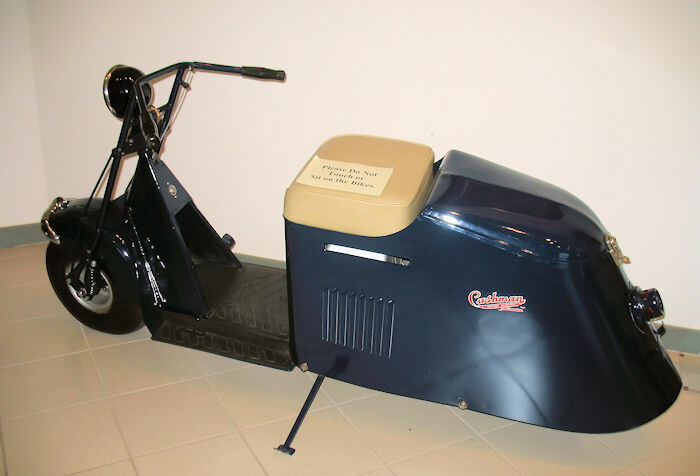 Also in 1947, Cushman introduced the “Ice Cream Special” chassis. This all-white model was intended to be purchased by ice cream vendors who would then install their own insulated box. I wasn’t familiar with British manufacturer Veloce Ltd. Find some interesting company history here. 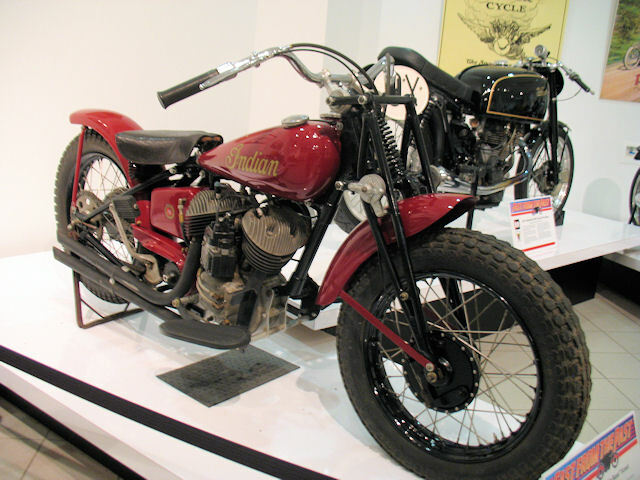 In 1948, Indian unveiled the final racing update of the Scout – the 648 Model – in Daytona Beach, Florida. 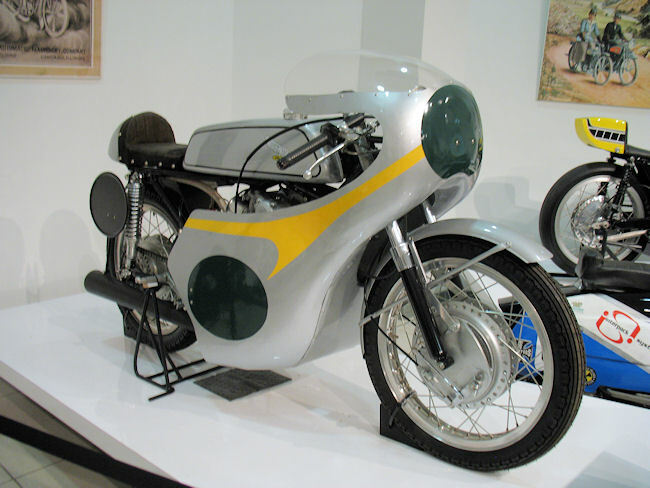 The new machine was nicknamed the “Big Base” Scout because one of its updates was a larger oil sump that changed the appearance of the 750cc engine. 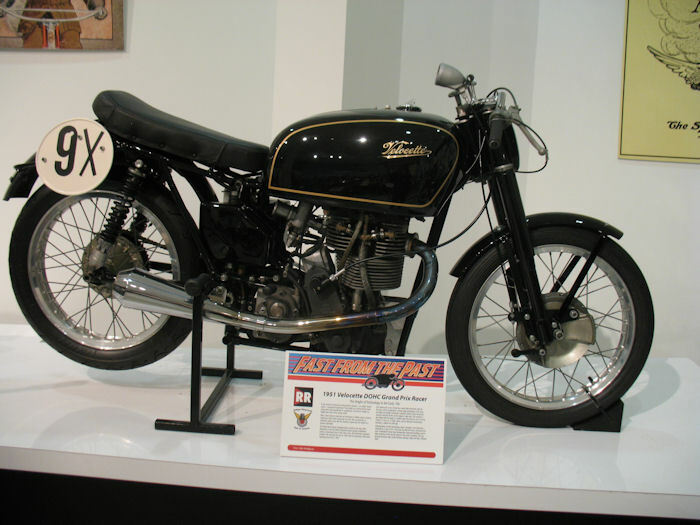 This bike made an auspicious debut when Floyd Emde became the first rider in history to lead the Daytona 200 from beginning to end, breaking the previous race speed record by 6 mph. Based on this impressive performance, the 648 also become known as the “Daytona Scout”.